In my previous post, I tried to show how to install Enterprise Manager Cloud Control 12c, now I’ll show how to add target hosts to our Enterprise Manager system. I assume that you’re in a similar position (installed Cloud Control but haven’t added any target yet). 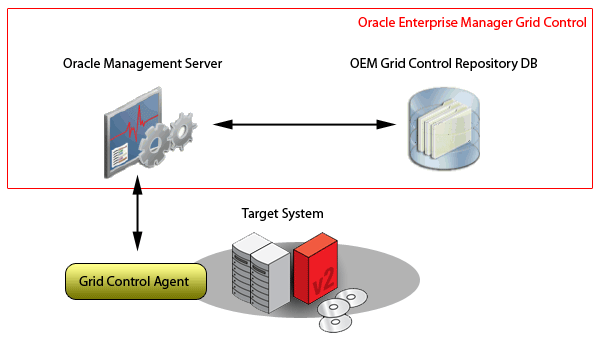 As you know, we have to install Oracle Management Agent to the targets to be able to manage them via our Enterprise Manager. In OEM Cloud Control 12c, we can “Add Host Targets Wizard” which is accessible from the web interface. We can manually enter required information of host or we can use auto-discovery method. If we’ll use auto discovery, we need an active agent to discover targets in network. This agent can scan local services or network. “Nmap” is used for scanning network. Nmap requires root privileges to be able to use raw sockets for “Syn Scanning” (a method to detect open ports through firewalls). So we need to configure “privilege delegation” in the host of our agent (which we’ll use for scanning). Installing Oracle Enterprise Manager Cloud Control 12c is easy and it’s already explained in a video at OTN website and MOS [ID 1359176.1]. Still, I wanted to create a step by step guide, and highlight the important points. 2) Installation of Oracle Database (Repository Database): You can install one of the certified databases: 11.2.0.3, 11.2.0.2, 11.2.0.1, 11.1.0.7 and 10.2.0.5. These are minimum values, you can set higher values according to your system resources. It’s also recommend to have at least 3 redo log groups sized 300M. Luckily, the installer will warn you about all these settings. Yesterday (October 03), Oracle announced Oracle Enterprise Manager 12c (c for cloud). It’s the only complete management solution for enterprise cloud. 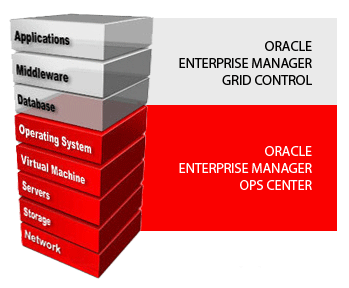 Oracle Enterprise Manager is the first “12c” Oracle product. I’m sure that we’ll see more “12c” products in future. Oracle Enterprise Manager aims to help IT organizations to manage entire Oracle-based cloud stack from application to disk. While Grid Control manages Applications, Middleware and Database layers, Ops Center manages hardware, storage, network, virtualization, and operating system layers. I tried to demonstrate how to install Oracle Enterprise Manager Grid Control 11g and Ops Center 11g in my previous blogs (Ops Center, Grid Contol). Now I’ll try to show how to integrate Grid Control with Ops Center to manage both software and hardware infrastructure. Before we begin to set up the integration, let’s examine the following diagrams to see how the integration will work. This is a simple diagram showing communication between a target server and OEM Grid Control. We install an agent to the target server. This agent communicates with OMS service. OMS stores the data it has collected in the repository database. The Enterprise Manager offers several system monitoring plug-ins for third-party products. One of them is Microsoft SQL Server Plug-in. This plug-in supports Standard, Enterprise, and Workgroup editions of Microsoft SQL Server 2000, Microsoft SQL Server 2005, and Microsoft SQL Server 2008 (both 32 and 64bits). Now, I’ll show how to deploy this plug-in to a windows server we already registered with our Grid Control. Microsoft SQL Server Monitoring Plug-in can be deployed to any machine which can connect to target SQL Server service, but I prefer to deploy it to the host which MS SQL Server is installed. Then we’ll import the plug-in file into our EM Grid Control. Login to the Grid Control, click “setup” and then click “management plug-ins”. You’ll see the list of plugins which are already installed. Click “import” button.